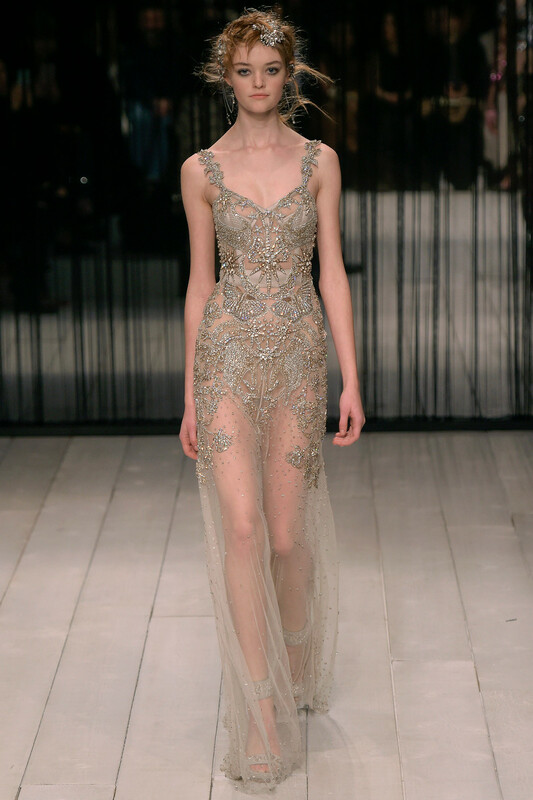 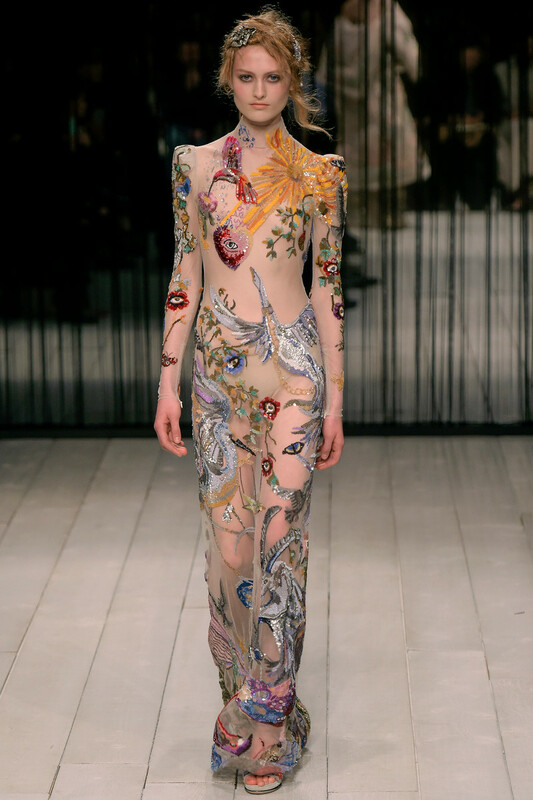 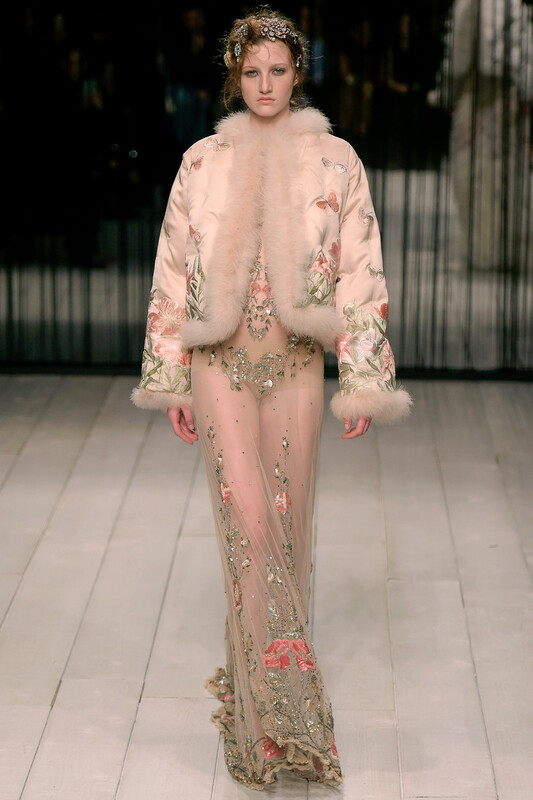 Here was another transporting and hyper-feminine collection from Sarah Burton for Alexander McQueen. 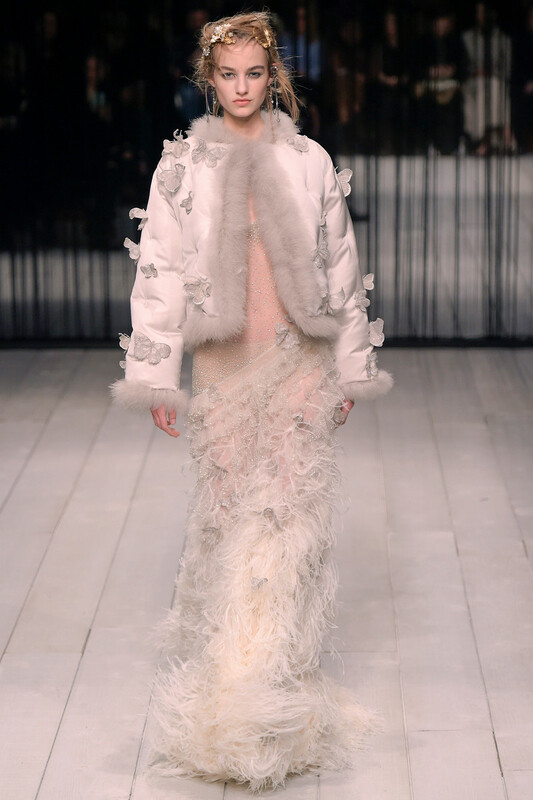 Dreamy gauzy dresses in knits as fine as cobwebs; tuberose flowers hand-painted on leather coats and corsets, and feathered skirts made of ostrich plumes that had been lacquered to give them a brooding aspect. 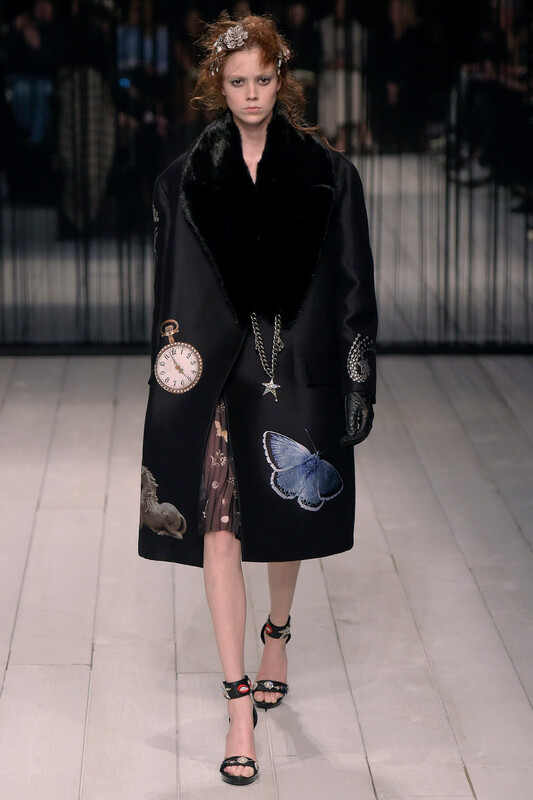 The designer decorated her clothes and accessories with talismans and surreal symbols, including pocket watches, butterflies, horseshoes, lips and eyes. 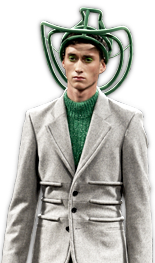 The show opened with mannish tailored coats with an extra lapel dripping, as if in a Dalí painting, over the shoulder, forming an offbeat sash. 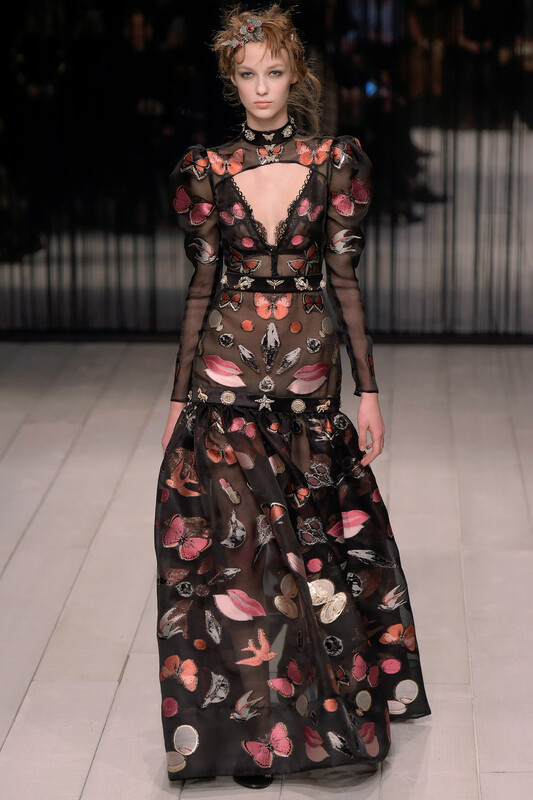 By contrast, the frothy dresses, ruffles spilling off of shoulders or peeling off the body to reveal lace bras and camisoles, were striking in their delicacy. 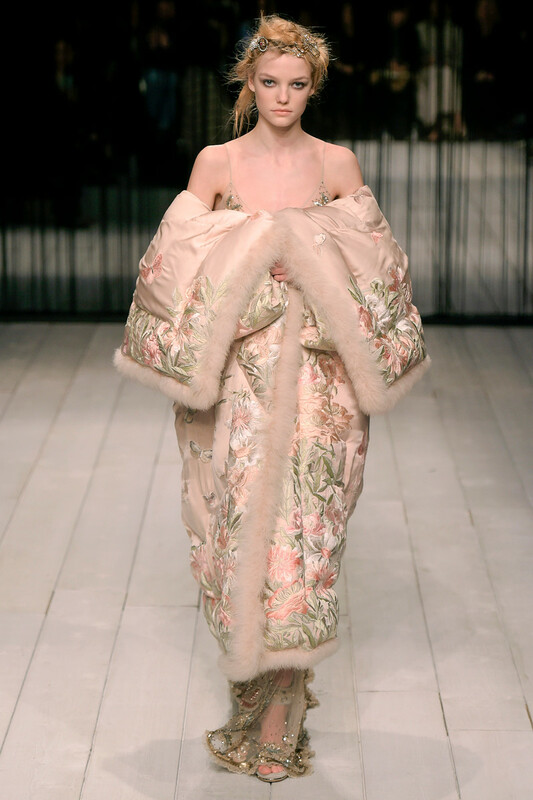 The show climaxed with tulle gowns and capes gleaming with shooting stars or silvery moons — and then two of the most elaborate bed jackets you will ever see, quilted like a duvet and covered with dense floral embroideries.